I don’t know about you, but it is not a surprise at all. Gmail has been growing in popularity, and while it is simple, it is also powerful. There are a lot of “tricks” which users can employ; tricks that will make the experience so much richer. 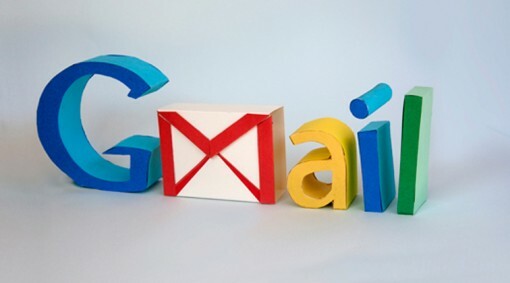 Long-time Gmail users will have integrated these tricks into their workflow, but if you are not aware of them and want much more out of Gmail, take a look at these 5 powerful tips to maximize Gmail. Everyone knows about Gmail filters, right? But surprisingly, some people do not use them. Trust me, you may have to spend a little time to add and organize filters, but once you have a system, you will love how organized your email will be! If your inbox is always inundated by notification emails from Facebook, for example, you can create a filter for emails that come from Facebook. You can then choose to archive them automatically. Additionally you can choose to mark them as read – if that’s what you want. This is a great way of keeping your working inbox clean. Labels are even better friends. Filters are one thing, and then there are labels. In a sense, they are similar. For example, if you set up a filter, you can set it so that a label is associated with that filter. When creating labels, though, you don’t create a filter. You simply use a word or phrase to tag or label certain kinds of emails, thus grouping them. This will allow you to search for emails much easier. I think that labels are the most used feature in my case. Definitely one of the best ways to maximize Gmail. Ever since the Gmail team launched priority inbox some years ago, I have relied a lot on the setup. The chances are that you have seen it in action, but in case you’re still using the old view, I suggest giving this a go. What priority inbox does is essentially split your inbox into three sections: Important and unread, Starred, and Everything else. This way, you can easily scan your emails and decide which ones need to be dealt with pronto. More priority inbox tips here. If you’re a sucker for to-do lists, then you can incorporate Google Tasks into your email workflow. You know how sometimes, you want to deal with an email later on but you fear you might forget it? When you have an email open in Gmail, simply click on the “More” button above the message. You’ll see a drop down menu where there is an option to add to Tasks. That will solve your memory and timing issues. Extensions for web browsers are all the rage, but you can also do the same for Gmail. There are some really useful Gmail extensions out there which can increase your productivity. Of course, too many of those might take away from the experience as well, so be choosy. Here’s a pretty good list of extensions with brief descriptions.